Key indices hovered in positive zone in mid-morning trade. At 11:16 IST, the barometer index, the S&P BSE Sensex, was up 40.94 points or 0.11% at 38,647.95. The Nifty 50 index was up 5.55 points or 0.05% at 11,602.25. Telecom stocks declined. Domestic stocks edged higher in early trade on buying demand in index pivotals. Stocks trimmed gains in morning trade after an initial upmove. The S&P BSE Mid-Cap index was up 0.05%. The S&P BSE Small-Cap index was up 0.12%. The market breadth, indicating the overall health of the market, was positive. On the BSE, 1115 shares rose and 906 shares fell. A total of 142 shares were unchanged. Telecom stocks declined. Bharti Airtel (down 1.67%), Vodafone Idea (down 1.23%), MTNL (down 0.9%) and Reliance Communications (down 4.85%) fell. Tata Teleservices (Maharashtra) (up 1.98%) rose. Shares of Bharti Infratel rose 0.57%.  Bharti Infratel is a provider of tower and related infrastructure and is a unit of Bharti Airtel. Sterlite Technologies rose 1.02%. Sterlite Technologies announced that its board will meet on 23 April 2019, to consider offering subscription of non-convertible debentures on private placement basis. 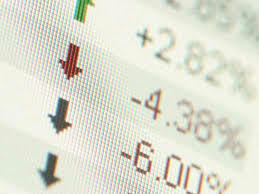 The board will also consider approval of raising of funds by issue of equity shares or any other securities convertible into equity shares or a combination of such securities by way of further public offer, rights issue, American depository receipts/global depository receipts/foreign currency convertible bonds, qualified institutions placement, preferential issue or any other method as may be permitted under applicable laws. The announcement was made after market hours yesterday, 11 April 2019. Lumax Auto Technologies rose 2.4%. Lumax Auto Technologies announced its joint venture with JOPP, Germany to manufacture and supply transmission products to the Indian automotive industry. Under the joint venture, both the partners will hold an equal 50% share in the new entity to be named Lumax JOPP Allied Technologies. While JOPP will bring the world class technology for its products to joint venture, Lumax will provide its 7 decades' rich experience towards management of the JV in India. Focus of JV is towards self-reliance in technology & establish a state of art R&D centre in India along with manufacturing operations. The announcement was made after market hours yesterday, 11 April 2019. Lumax Industries said it has started the commercial production of PCBs at the unit situated at IMT Manesar in Haryana. The announcement was made after market hours yesterday, 11 April 2019.